« Noah is five months old today. Rejects trial of pureed carrots; holding out for pizza. Was there an 1880 precedent for the CMA’s new North End Plan? Was it revealed on maps of Ocean Grove from that era? Rev. W.B. 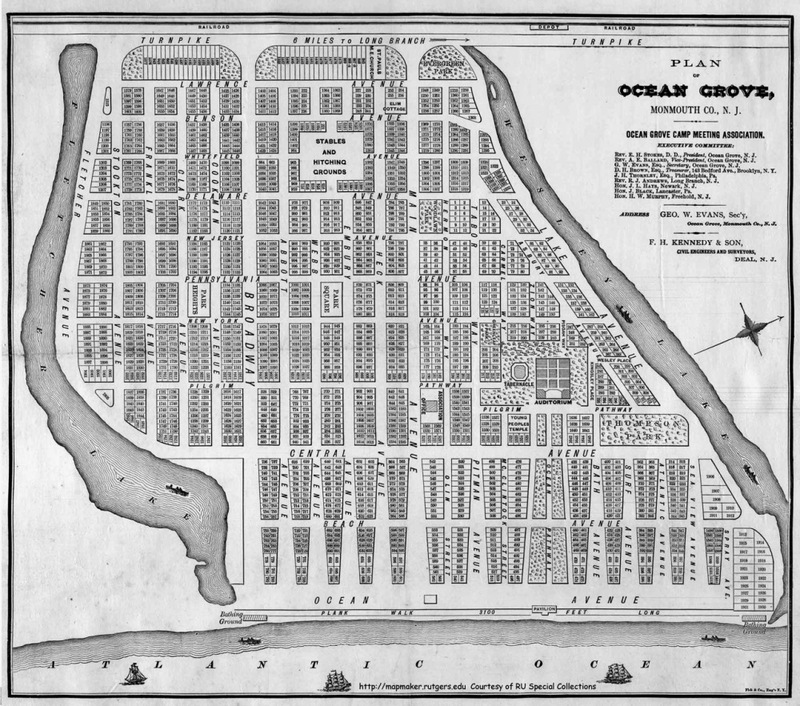 Osborn was the founder of Ocean Grove. This bio was written by his wife. Let’s see if she writes about a commercial North End. This quote is from the Coaster which reported on that meeting. Ocean Grove from about 1879. Map commissioned by Dr. Stokes, President of the CMA. Click on map for details. North End has 26 lots for single family homes. See Jack Bredin’s comment below about this map. 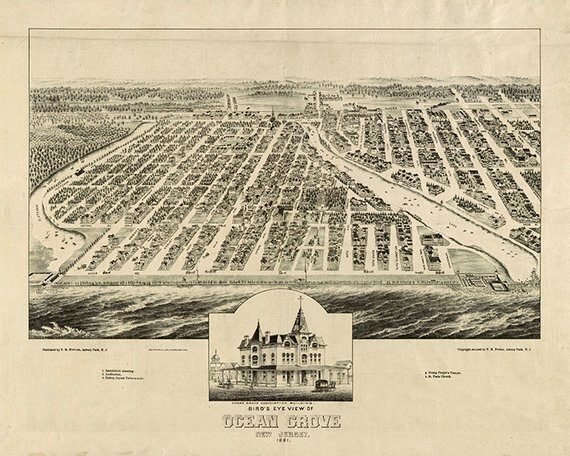 Ocean Grove 1889 map. It shows 12 lots at the North End property. Those lots were for single family houses for Methodist clergy. No sign of a planned hotel there. 1881 Library of Congress map. Detail below this map. Detail. Library of Congress map of OG and A. Park 1881. No North End hotel. There is the Ross bathing pavilion located there, by the ocean. The North End is otherwise shown as a barren lot. Click to enlarge. Obviously CMA President Badger would like to find a historic precedent for a “very early” North End Hotel plan to back up his latest (2018) new North End plan. He says that there are maps that reveal “the founders’ vision” for a North End hotel. We have never seen such a map, so it would be good if President Badger could back up his statement with at least one of his 1880’s maps, and we would be pleased to post it on Blogfinger. 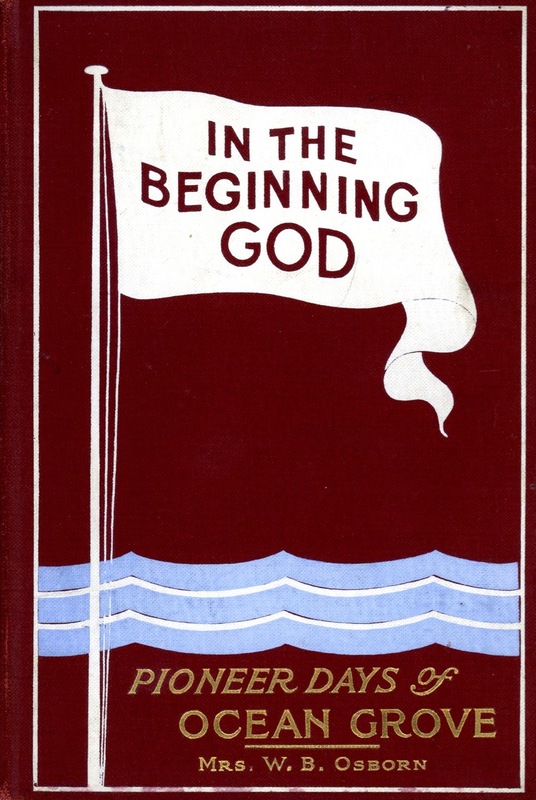 We have reviewed Elwood Stoke’s biography as well as the book about early Ocean Grove written by Mrs. W.B. Osborn. Neither of these books mention a hotel. The Grand Ocean Grove North End Hotel complex opened in 1911, about 40 years after the founding—hardly a good historic precedent for 2018 justifications. Besides, even if that founders’ vision can be verified, who’s to say that it justifies the CMA’s 2018 North End Plan to build a hotel? OG’s history is full of hotels, but zoning normally would not allow one to be built from scratch now. Here’s a suggestion for OG planners: Make sure that your decisions consistently match the visions of 26 men from 149 years ago. 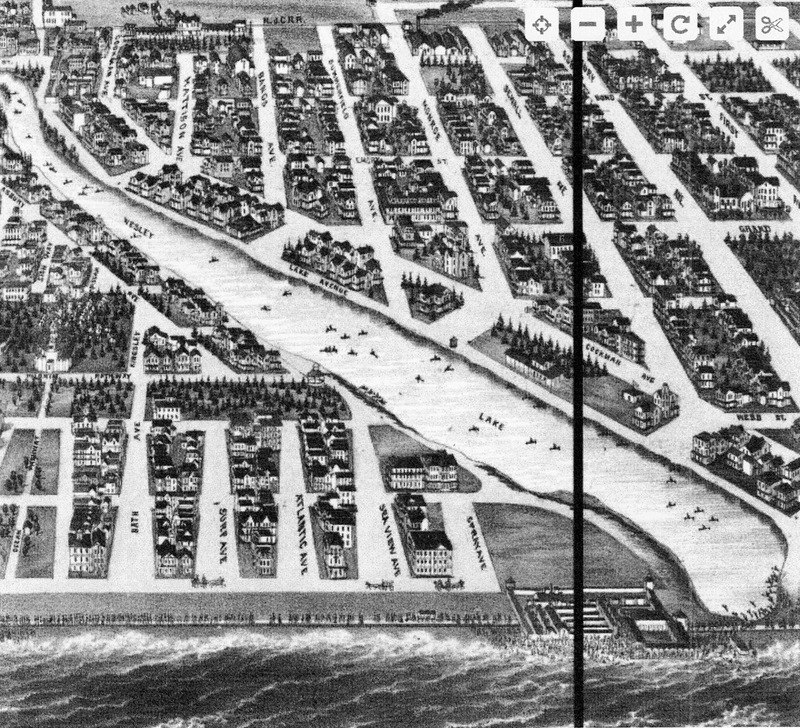 The “founders vision” of Ocean Grove as shown on a 1878-1879 map that was prepared by Dr. Elwood Stokes was for 2,000 30×60, 1800 sq ft. lots for rentable summer tents . As far as the North End is concerned, Dr. Stokes reserved 26 large lots, one for each of the CMA clergy. Each lot could accommodate a large year round single family house with off-street parking. Dr Stokes served in OG for about 30 years. After he died, some of the large lot owners got together and built the North End Hotel Complex in 1910. Look closely at the top (1879) map. Really, there are only 19 lots north of Spray Ave. This is the area that is now in question. The number 26 comes from the additional 7 lots that are west of Beach Ave, where there are already some houses and where the Warrington burned down and LaPierre was badly damaged a few years ago. in 1879 there were 26 CMA Trustees and 26 large lots. My above comment says’ SOME of the large lot owners got together and built the North End Hotel Complex’, not ALL of them.